And yet another favorite. But then again this one makes since. Took me forever to get a Kingdra, but this sounds kind of easy and the result is epic. 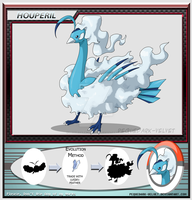 It goes from a pure Water-type to a Psychic/Dragon-type. Not sure how that works. Still a great design, either way. Sometime will you draw the special items needed for some of these evolvings? such as the Red Pearl? This really needs to happen! 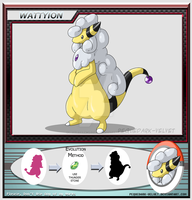 It would be lovely if X and Y were carrying this evolution. Is that an egg in her tail? This is a nice concept! 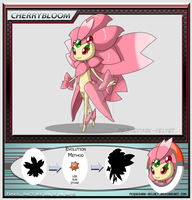 Why aren't these real this would be awesome to see in pokemon games! 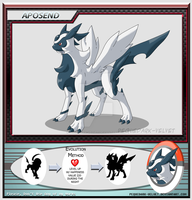 Would you allow me to evolve my Seadra into a Queendra?? In pokemon Lugia feather and Ho-oh feather it's a simple item, no more or less, for orfeghas I guess more interest evolve with uma shiny stone. wow! this IS better than kingdra! i sooo wish outpherm region was real now! Ahahaha this is cool, but I always imagined that Kingdra were akin to seahorses in the real world where the males hatch the babies and raise the young, but it is the pokeworld and it never makes sense to begin with lol. 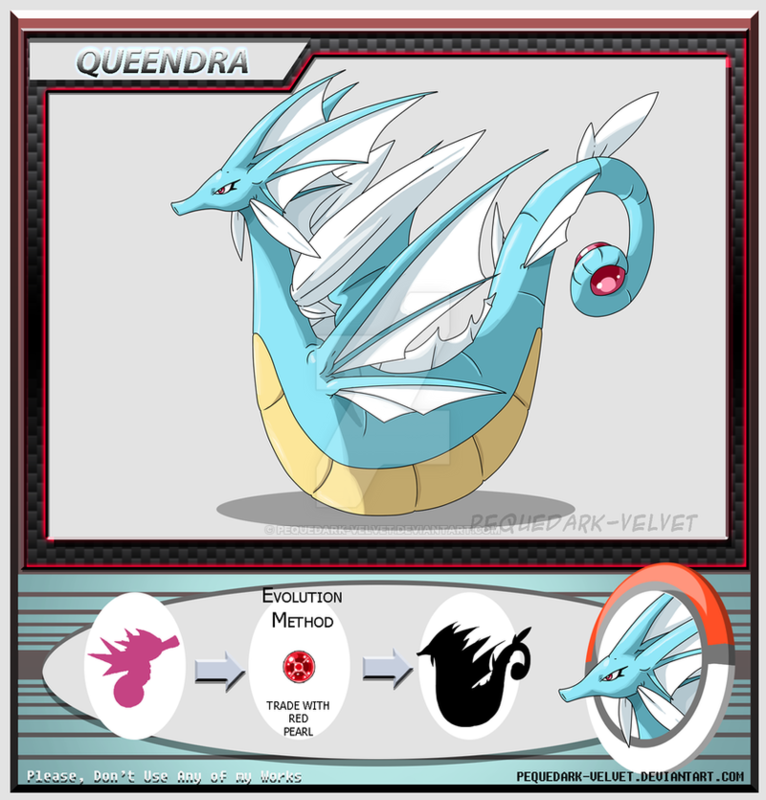 Who needs a Kingdra when there is a Queendra? I sincerely prefer Queendra. Omg Omg! *Scream! * *A* I wish Im catch Queendra! Queendra is better than Kingdra! Queendra is soo LOVELY! Very nice!...just one question: in your picture Queendra is double the size of a human...is kindra that big too?